Coming out of the 2019 season, college wrestling has never been more popular. The NCAA National Tournament was on the ESPN channels for all sessions and the ratings were very strong with an increase in viewers. As fans we were able to see dual meets on ESPN as well. I really liked the BTN doubleheader on Friday nights of having dual meets live back to back. Through the internet we were able to see nearly any dual meet than we wanted to see as a fan. Even with all that 2019 had to offer fans, I expect 2020 to be even bigger. I remember writing in my newspaper The Wrestling Report years ago that wrestling always seems to peak in an Olympic year. There is just an added excitement in wrestling during an Olympic cycle. The Olympics is the ultimate in our sport of wrestling and with that comes added media attention and anticipation from the fans. You will also see more coaching changes as wrestlers retire from competition after the Olympic Trials. I have never seen such anticipation to an NCAA National Tournament so far in advance than I have seen from Iowa Wrestling fans looking forward to the 2020 tournament. Wrestling fans were buying tickets to the 2020 Nationals before the 2019 Nationals even started or was completed. 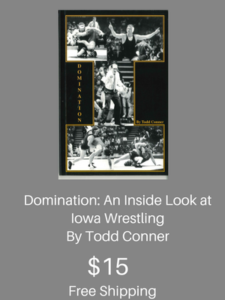 There are several reasons for the added interest by Iowa Wrestling fans. It seems as though Iowa did not receive many tickets to Nationals this year in Pittsburgh. That may have been why there were so many Iowa fans at Big Tens in Minnesota. You do not hear of many sellout crowds for Big Tens, but I believe it was a full house this year. There was a strong presence of Iowa Wrestling fans at Big Tens. Iowa fans could not make it to Pittsburgh, but they could make the trip to the Twin Cities. That leads right into my next point. The 2020 NCAA National Wrestling Championships are going to be held in the U.S. Bank Stadium in Minneapolis, MN. That is the home of the Minnesota Vikings of the NFL. That alone should tell you at this is a state of the art nearly new facility that will hold a lot of fans and accommodate them between rounds. I have read a couple of places that early estimates for the 2020 Nationals is at 35,000 fans. I do not know if that is just for the finals or for all sessions. Regardless, the opportunity for an NCAA National Tournament record crowd will be in play. Will the record wrestling crowd of 42,287 from the Grapple on the Gridiron be safe? I guess that depends on if the 35,000 number I am hearing for fans is for the finals or early rounds. Will they get even more for the finals? Even though the Grapple on the Gridiron was actually over 50,000 there may be a new record set. I am hoping for a Grapple on the Gridiron II in the Fall of 2020 to shatter the existing record. With the 2020 Big Tens being at Rutgers in New Jersey I am sure that Iowa fans will chose to make their one big road trip to Nationals instead of Big Tens. Minneapolis is as close as Iowans will get for Nationals. The next closest will be St. Louis in 2021. This will be a great two year run for Iowa Wrestling fans to get in the stands to watch that Hawks at Nationals. 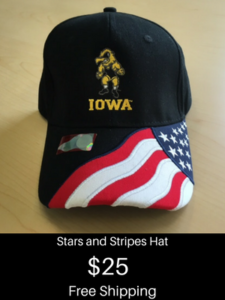 Iowa Wrestling has the biggest advantage for a fan base of any sport that I know of in the country. The storyline of Iowa being in the chase to regain the national title for the first time since 2010 will be one of the bigger sports stories nationwide of the year. The combination of a great storyline and fanbase is just what the media loves. It is all about the $ for the media and I see this combination being a moneymaker for them. Iowa is overdue to host Penn State and Ohio State and is in the rotation to have Oklahoma State compete in Carver Hawkeye Arena this coming season. Let’s hope that the Big Ten and the schools involved make the Penn State and Ohio State duals happen. You can bank on Oklahoma State competing here next season. Depending on how the Iowa Athletic Department has the scheduling, those three dual meets would I guess all be over 12,000 and a sellout for Penn State. Iowa will have a great chance to beat their home attendance record of every season except the year that they had the Grapple on the Gridiron (2015-16 season). Iowa Wrestling fans are hungry for a team title. Downright starved. That force alone will drive up the interest level in the entire sport of wrestling. To come off of the 2020 Nationals in March and then a few short weeks later to have the Olympic Trials in Iowa City, Iowa USA? I see momentum and the potential to shatter attendance records for the Olympic Trials just from Iowans alone. It is mid April of 2019 and I am already excited thinking about the upcoming year but for good reason. I know that we have not even started the process of selecting our Team USA for the 2019 World Freestyle Championships. College wrestling is the big influence in our sport in my opinion and the Olympic year began right at the end of Nationals in Pittsburgh on March 23. Let’s break some records and have a great time being a wrestling fan.